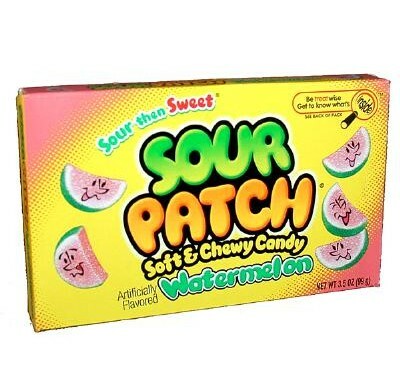 Sour Patch Watermelon (3.5 oz. 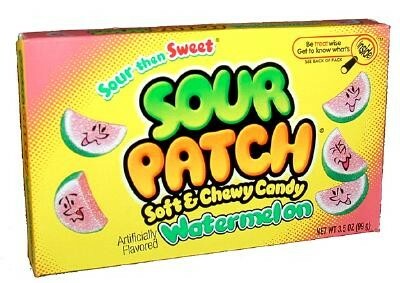 movie theater box) from Cadbury-Adams, sugar coated candy chews shaped like watermelons! They magically and deliciously turn from sour tasting to sweet tasting in your mouth. Boxed candy comes 6 pieces per case.